Sanding, Polishing, & Car-Guy Supplies! Billy was entering “The Zone”. Concentration was imperative, for the valley Billy was attempting to traverse using his one-wheeled machine was treacherous, to say the least. One false move, and the effects would be irreversible. Billy had to trust in his abilities; he had to know when to move slowly, add speed, use a light touch, or give ‘er all she had. The machine would mask his vision as it traveled the gully. Billy planned to steer his machine in a zigzag pattern, riding the ridges along the way. 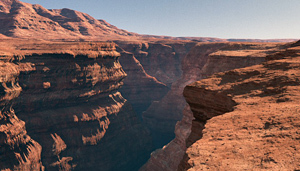 Should the wheel rip its way through the base of the canyon, Billy’s confidence would be blown to bits. An error in judgement could cost Billy dearly. Although he was known to be fearless, Billy always knew he was nowhere as skilled nor fearless as his peers thought him to be. The truth was, Billy was just plain lucky. Moments before he was ready to begin his quest for glory, Billy was interrupted by a shrill screeching sound. The harsh (and some would say rude) racket broke his concentration, if for only a moment. Billy was visibly shaken, and would have to psyche himself up all over again. Billy held back his frustration, and forced himself to respond using an even-mannered tone. Billy throttled the trigger that controlled the speed of his rotary polisher, primed his buffing pad, and got to work. ← The Soul of a Race Car. Copyright © 2019 Buff Daddy Blog. All Rights Reserved. Magazine Basic created by c.bavota.